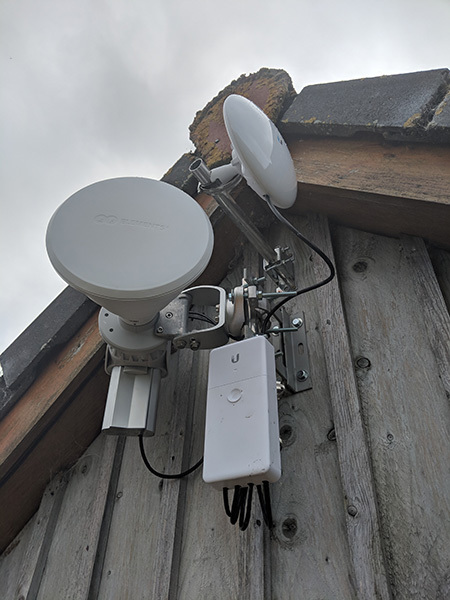 The majority of broadband suppliers use BT’s copper phone network to connect your router to the internet. Due to the nature of the cables and technology, this is very distance dependent and in rural areas results in poor speeds. Other services such as 3G/4G options and Satellite suffer from data caps, poor latency and high price. Our service is delivered, not by cables, but over the air using wireless technology. This means that we can deliver faster speeds, consistently, over longer distances. 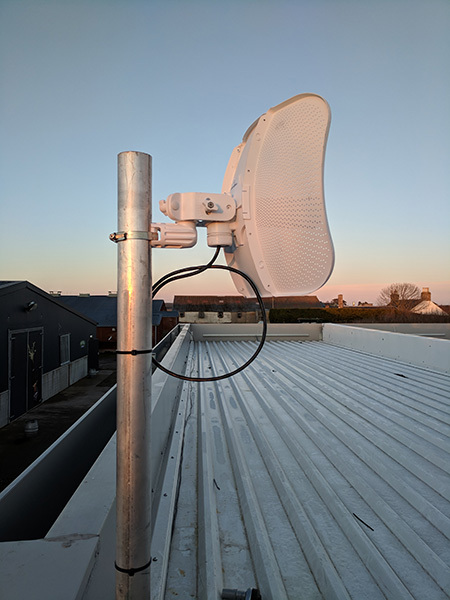 We use broadcast antennas similar in shape to mobile phone masts to send our signal out and on the side of your property we mount an antenna in a similar fashion to a Sky satellite dish, pointing towards our broadcast site. 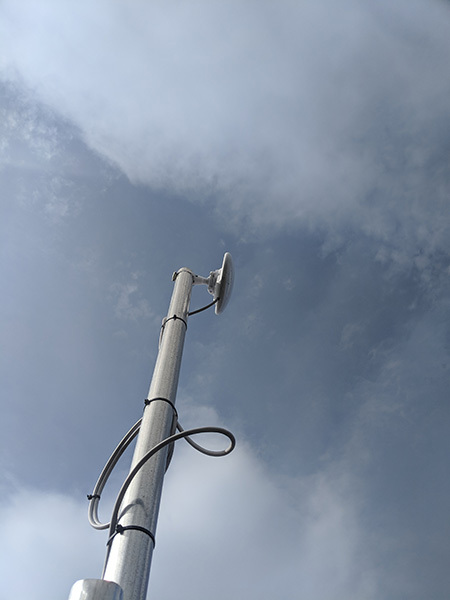 The size of the receiving antenna will depend on distance from the nearest mast or relay site. The largest being 400mm in diameter. 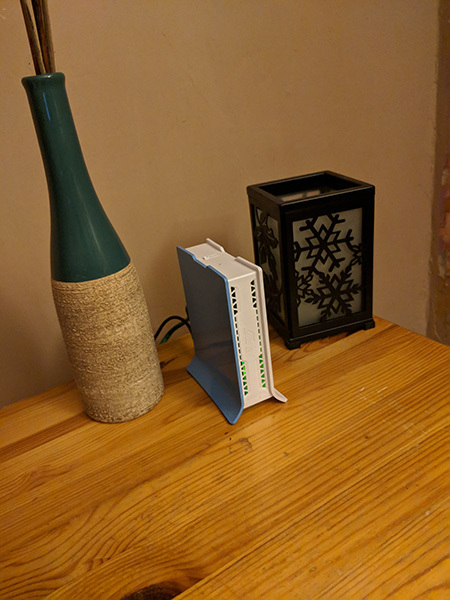 A cable then runs into your house and connects to a router supplied by ourselves to allow you access to the internet. 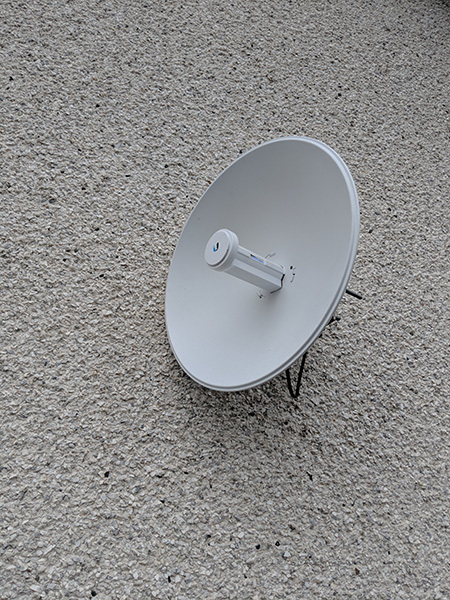 Unlike satellite broadband, our service is not affected by weather conditions and does not suffer from the delays associated with satellite communications, however we do need line of sight from your property to either one of our broadcast sites or to a nearby relay site. 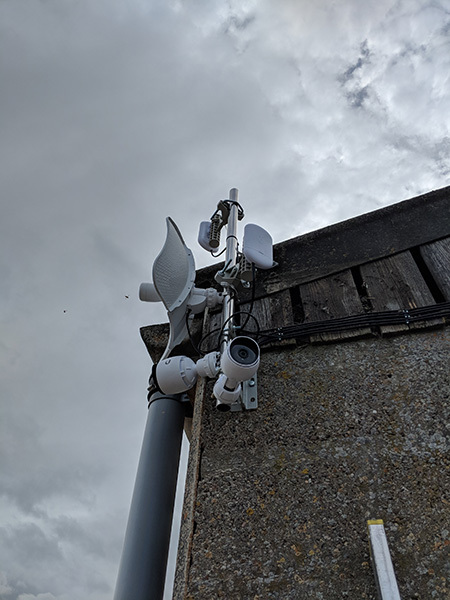 Every effort is made to get customers connected, we may need to relay from an existing customer, install new equipment at relay or mast or even run fibre cables to achieve this. 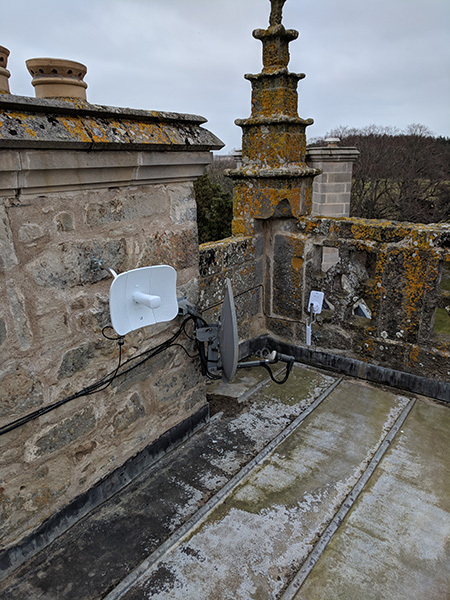 We currently have one main mast site located on Brownmuir Hill, this mast is linked to our Core Site in Elgin where we have a gigabit capable leased fibre line. From Brownmuir we supply northwards in a 90 degree ark and and to further relay mast sites in Mulben, Kellas, Duffus and Roseisle. We are continually expanding to new areas, please take a look at our coverage map to see what we cover at present, if you are not covered just now please get in touch regardless as this will allow us to assess interest in new areas and plan further expansion.